This is a remarkable product from Japan that is sure to become the cornerstone of a serious topical rejuvenation regimen. 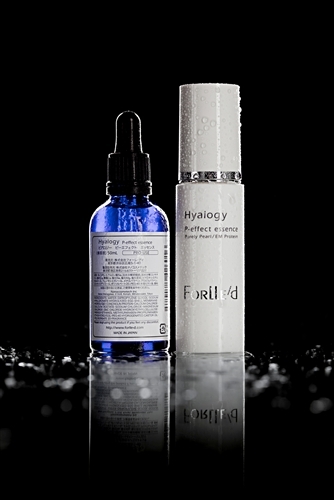 Patented Nobel prize winning molecular hyaluronic acid penetrates deep into the skin and generates deep moisture layers that perfectly irrigate the cells and boost the efficiency of other active ingredients applied. Used over time the skin is plumped and hydrated and natural defenses are strengthened. Use around the eye area and the neck as well. Suitable for all skin types from young to mature, and i believe with proper protection it will delay the aging process and recondition damaged and aged skin. Greatly exacerbates the action of other topicals and works especially well with the FORLLED FH SERUM and also the CAPITALE JEUNESSE CELL MATRIX SERUM for enhanced firming. These are extremely potent anti-aging tools that will truly improve the quality and processes of your skin....not to mention enhance a more youthful appearance. FORLLED is a company based in Japan and Russia which makes an impressive array of serious skin care products and i am thrilled to have found them.